A cairn created by stacking ozark rocks that came fromf a creek flowing out of a cave. 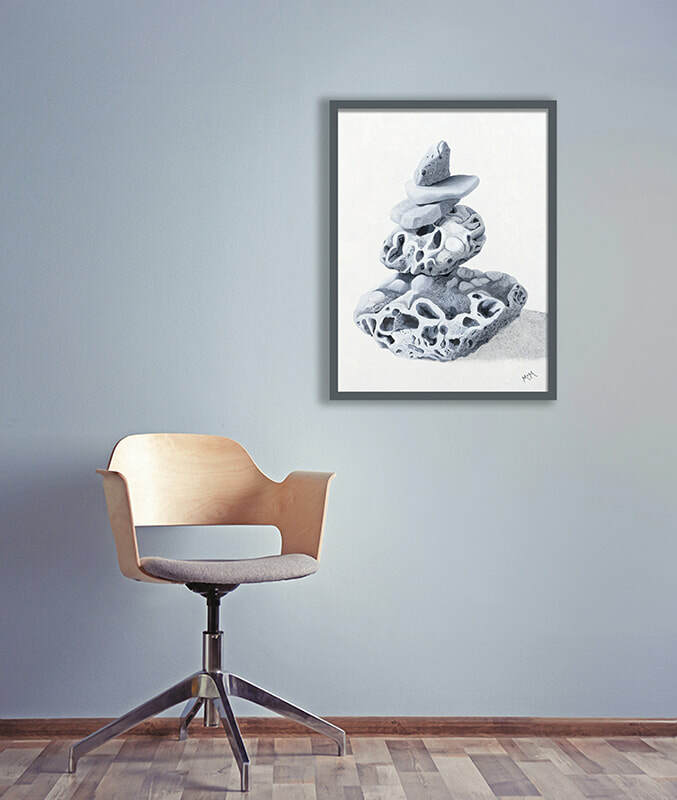 Cairns and stacked stones, in the form of still-lifes, and rock-strewn landscapes will be the main thread in my 2017 art. 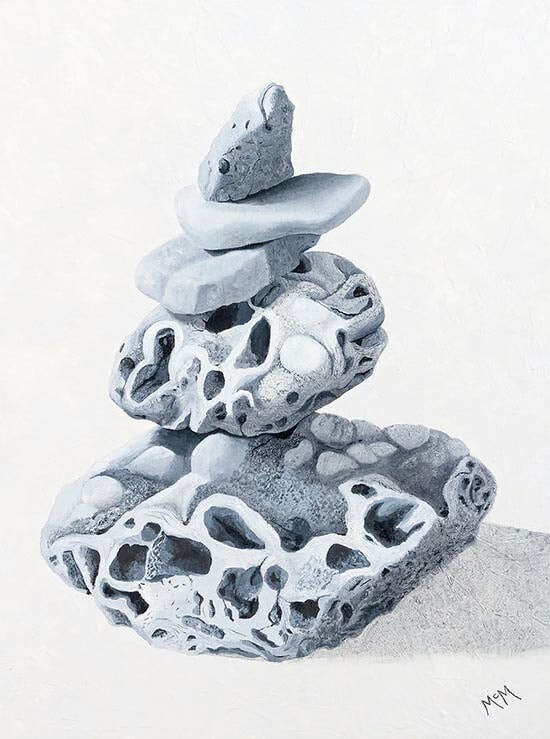 The inspiration for this series comes from visits to the Lake Superior Northshore in Minnesota where I would come across these wonderful “Cairns”, rocks stacked on each other, created and left behind by other creative rock lovers. I consider many of my new paintings as collaborations with strangers I’ve never met. Signed on the front and with a signed birth certificate. Available unframed, but framing is available for an additional cost.